3. 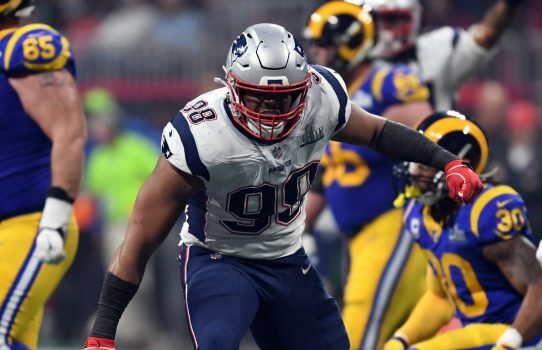 Patriots pass rusher Trey Flowers—who rapped with Meek Mill on stage at the Super Bowl postgame party—made himself a bunch of money over the last three weeks as a constant presence in the faces of quarterbacks. Over three playoff games, he had two sacks and six quarterback hits. And he could be the beneficiary of pending free agents—like Dee Ford, Frank Clark and Jadeveon Clowney—getting franchised. Plenty of teams have been gearing up to pay for pass-rushers this offseason, with a bumper crop of free agents expected. If a bunch of those guys come off the market, supply and demand will tilt in Flowers’s favor.